Livescan (Digital) Fingerprinting Available Here! Would you rather have your FBI Criminal History Check in a matter of hours rather than 4-6-8 or even 10 weeks? If you are a US Citizen or a lawful permanent resident, we can fingerprint you on our Livescan System and then transmit your fingerprints electronically to an FBI Channeler to have your report processed in most cases in about 2-4 hours. We will give you a login code to the FBI Channeler Portal in which you can login and view and/or print your criminal history. You will also receive an official copy of your report on FBI Letterhead in about one (1) week. If you specifically need DIGITAL fingerprinting, we can do that for you and print the cards out for you. Dallas Fingerprinting is now taking appointments for livescan (digital) electronic fingerprinting. 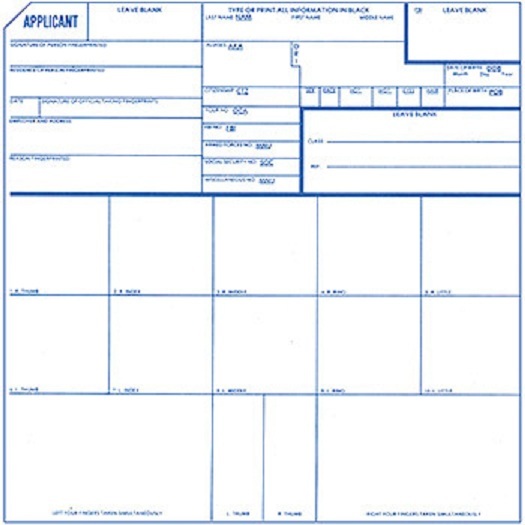 By using the livescan system, they can fingerprint you without a big inky mess, and either print the cards out for you to submit to the FBI, or, they will transmit your fingerprints electronically to an FBI Channeler. 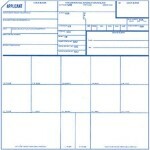 Transmittal to an FBI Channeler gets you results back in less than 4 hours in most cases. Dallas Fingerprinting will give you a password to login to a special portal where you can obtain your criminal history report and print it off as desired. Additionally. they will send you a copy on FBI letterhead via the USPS in which you will generally receive back in a week or so. This is sometimes much more desirable than mailing the FBI fingerprinting cards directly to the FBI and waiting for up to 8 weeks for the results – sometimes it is needed much sooner. With Dallas Fingerprinting, you now have the option of black ink fingerprinting on the FBI FD258 card or Digital (Livescan) with electronic transmittal! Simply call them at 214-793-1155 to make you appointment. They will get you in to their centrally located office in Irving TX or will come to your location as a mobile service. ACS Fingerprinting technicians are experts at recording your fingerprints on the FBI FD258 card. They provide fingerprinting and notary service in their office, centrally located in Irving, TX or, if time is urgent to you, they will come to your location. Besides providing expert and professional fingerprint service, they also keep a large inventory of FBI FD258 cards, Texas Department of Public Safety cards, Child Safe Fingerprint Cards, and FBI Personal Fingerprinting cards that are all available to purchase. Whether you need 1 card or 100 cards, ACS Fingerprinting can supply them to you. Simply call them at 214-793-1155 or 214-733-7105 and give them the number cards you need, your credit or debit card information, and they will mail them to you the same day. http://www.dallasfingerprinting.com and purchase them through the web-site PRODUCTS PAGE via PayPal. https://acsfingerprinting.com and purchase them through the web-site PRODUCTS page via PayPal. Once payment is made, your cards will be shipped the same day at no extra charge for the continental United States. A shipping surcharge will be added to international purchases. Give us a call at 214-793-1155 to schedule your fingerprinting appointment or to purchase the blank fingerprinting cards. Live scan fingerprinting is the process of capturing your fingerprints electronically (digitally) with our computerized fingerprinting system. When you do live scan fingerprinting there is no black ink used to get all over your hands! The electronic process is much cleaner and more accurate in capturing the details of your fingerprints. This method involves rolling each fingerprint across a glass plate and then scanned into the fingerprint software. When the process is completed, ACS clients then have the option of having any number of fingerprint cards printed out or,they can have the fingerprints sent electronically to an FBI Channeler resulting in the rapid return of your criminal background check. Generally, when sending the fingerprints electronically, you will get a result back in about 3 hours in which you will be given a portal to login and see the results. The FBI Channeler will then send the report at no charge to you via US Postal Service or for an upgraded price will either send it Priority or Over Night to you. ACS Dallas Fingerprinting takes appointments in their centrally located office in Irving, TX or as a mobile service to your location. Generally, if you call early enough in the mornings, either service is available that same day – if not, the next day can be reserved for your appointment. ACS Fingerprinting technicians are expert fingerprinters, they are certified to fingerprint for all 50 States and Homeland Security and they fingerprint for many different processes. Business owner Jay Kreps demonstrates organizational skills that are second to none – so whether he is fingerprinting one person or a large group, he will help guide everyone through the process very smoothly and efficiently. Corporate groups and classes requiring fingerprinting will also receive the best rates in the Dallas – Fort Worth, TX area and if additional fingerprinters are needed for a large group, there will not be an additional charge. With ACS Fingerprinting, you will see why they are considered DFW’s #1 choice for mobile fingerprinting and notary service. Our expertise in service and product quality has made for thousands of extremely satisfied customers. It is our goal to always provide each of our clients with a low cost, fast, reliable, professional, convenient and outstanding experience! Police and other law enforcement agencies who fingerprint for the public DO NOT offer a mobile service and many will not fingerprint large groups of people in the same appointment. We are officially certified to provide you with the same level of State and Federal (FBI) background check fingerprinting that they do AND we stock all of the required FD-258 fingerprint cards as well as offering Livescan fingerprinting. We fingerprint in Dallas tx, Irving TX, FT Worth TX and all surrounding suburbs. Some of our clients include FINRA fingerprinting, FDIC fingerprinting, Immigration fingerprinting, Adoption and name change fingerprinting, Mortgage Banking and Loan servicing, and FFL Fingerprinting to name a few of the many processess. Call them at 214-793-1155 for an appointment today or go on line to https://acsfingerprinting.com or http://www.dallasfingerprinting.com and secure your appointment online!